Alison Epperson received her Bachelor of Arts in Politics and International Studies from Centre College in Danville, KY and received her Juris Doctor from Case Western Reserve University School of Law in Cleveland, OH. 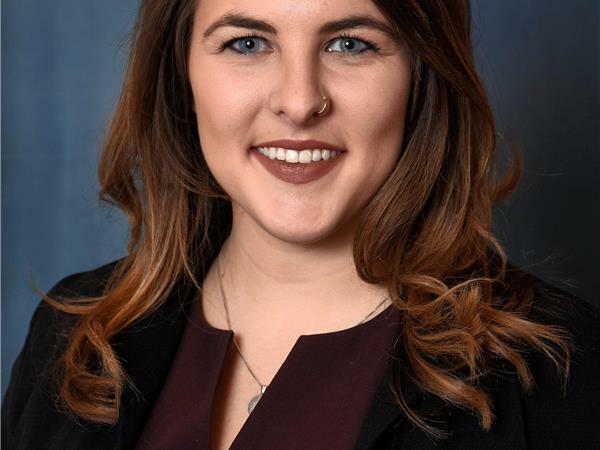 In 2013 and 2014, Alison spent time working for the Honorable Tom Harkin in his Washington, D.C. Senate office, focusing for awhile on disability issues, and spent the summer of 2016 interning at the United States Attorney’s Office for the Northern District of Ohio. Alison was then a summer associate at Orrick, Herrington and Sutcliffe’s New York office and will start as a full-time associate in September 2018. During her last semester of law school, Alison externed at the U.S. State Department. She was also named Law Student of the Year in 2018 by 'The National Jurist.' Alison was Zac Easter’s long-time girlfriend and first became connected and knowledgeable of CTE through him. She was involved in the founding of CTE Hope and currently serves as its Chief Communications Officer, while also assisting in programing and development. In terms of CTE Hope’s mission, Alison’s main passion stems from the support side of the disease and the organization as that is the role she played most prominently in Zac’s life.